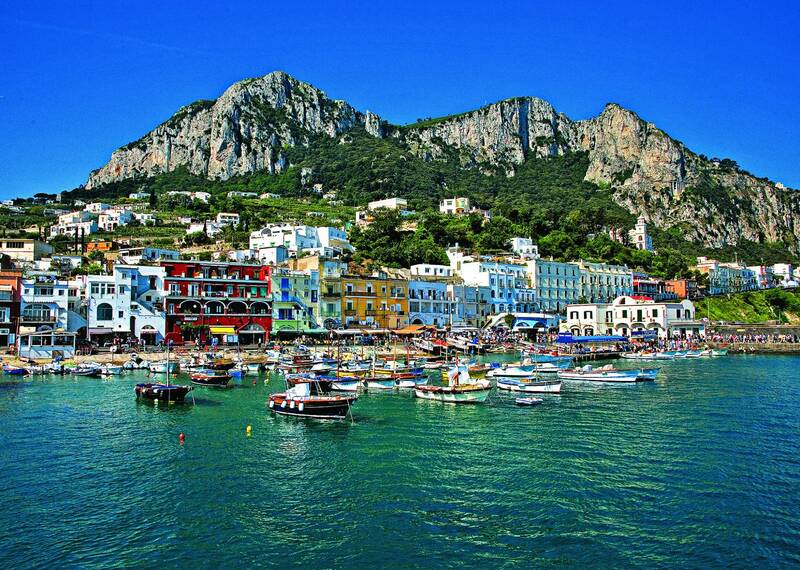 Enjoy the beauties of the island of Capri from the sea! You will discover the wonders of the most beloved island of the world. Let yourself be overwhelmed by the view of the famous Faraglioni, the numerous caves and their striking colour effects, as the most famous of the world: The Blue Grotto. The tour starts from the meeting-point at the "HP Travel" office at the port of Marina Grande, in Capri. An assistant will provide you a detailed map of the island and will accompany you to the embarking dock. 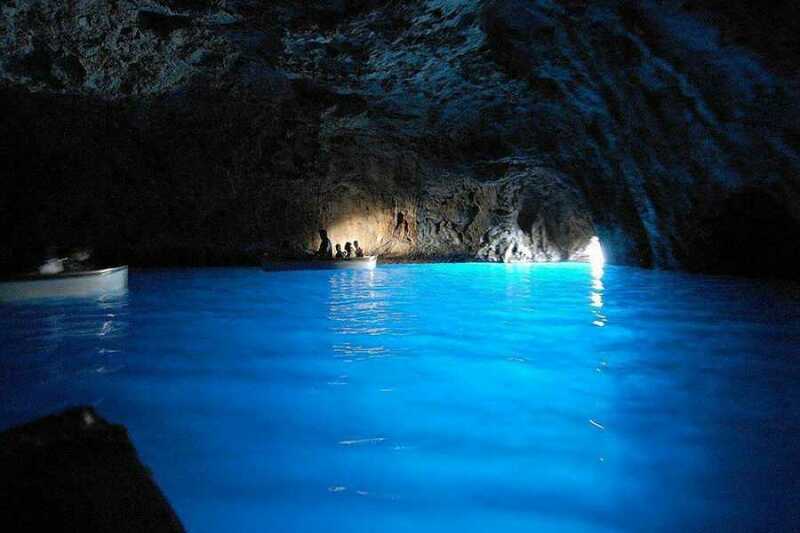 Once on board, you will sail along the coast and you will enter the Marvellous Grotto, the White Grotto, the Green Grotto and the Blue Grotto*. 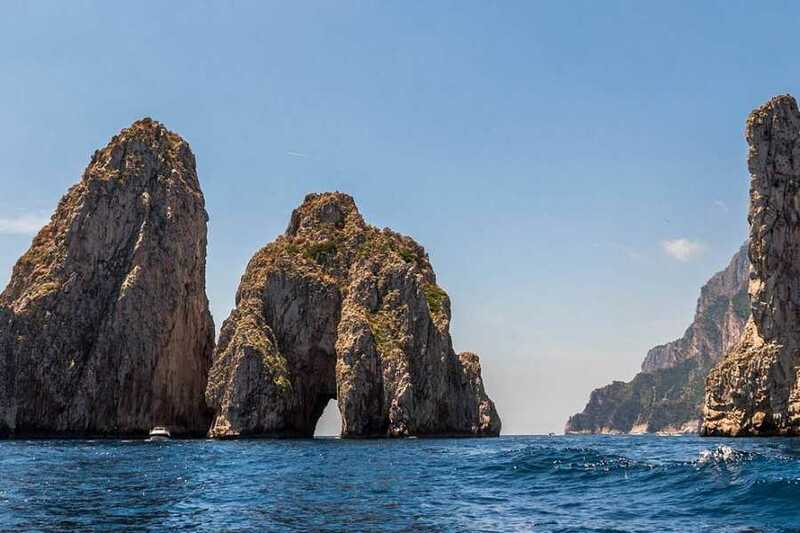 You will admire the Natural Arch, the Villa of Curzio Malaparte, the lighthouse of Punta Carena and the Faraglioni, passing through the famous Arch of Love. 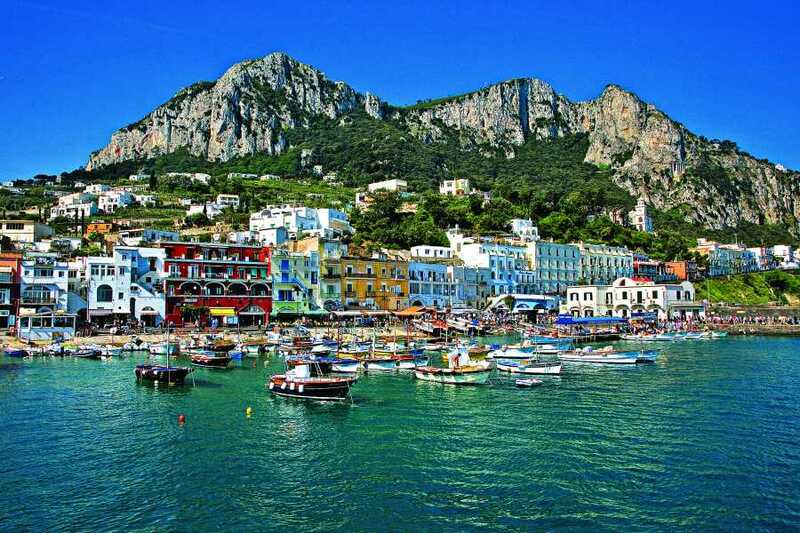 The captain will assist you in the discovery of the island, providing you all the information you need to get to know more about the beauties of Capri. At the end of the tour you will return to the starting point. *To ensure the smooth running of the tour, the boat can wait a maximum of 30 minutes for the visit of the cave, sea weather conditions permitting. In case the waiting is longer than 30 min, you will return to the port and you will have the possibility to take another boat, which will transfer you directly to the Blue Grotto. 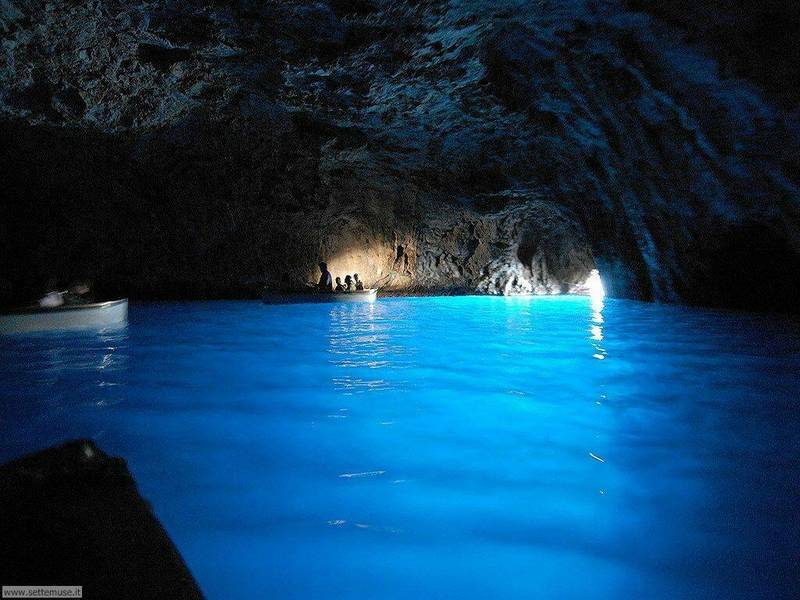 *In case the Blue Grotto is not accessible, due to bad sea conditions, the duration of the tour will be just of 1 hour. The meeting-point is at the port of Marina Grande, at the "HP TRAVEL" office. Here is the exact address: via Don Giobbe Ruocco 51, Capri.